Why would a reasonably sane person own rental property? After all, we’ve all heard lots of landlording horror stories, right? You know the ones: the tenants refuse to pay rent, the tenants trash the property, the tenants move out in the middle of the night, etc. Here’s something to consider: We had 61 investors attend our monthly real estate investors meeting in October. These 61 mom-and-pop investors control 573 properties. A couple of weeks back, I (along with seven other instructors) was asked to teach at a boot camp for new real estate investors. The instructors controlled 122 properties. All told, that’s 69 investors controlling almost 700 properties – incredible, isn’t it? So why do all these folks own rental property? Easy answer: They want MAILBOX MONEY! What’s mailbox money? It’s when you get checks in the mail because your capital is working for you, instead of you working for your capital. Are there other ways to get mailbox money? Sure – some folks own stock and live off the dividends. We have friends who make purchase-money loans to real estate investors and live off the interest they make. Of course, there’s also a one-in-a-billion chance that you’ll win the lottery – talk about a shaky retirement plan! So let’s cut through the landlording horror stories and look at what owning rental property is really like. 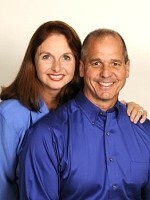 Kim and I have owned rental property since 1996. In all this time, we’ve never had a house get trashed. Fact is, most tenants vacuum their way out of a property. Do we ever have vacancies? Absolutely, vacancies are a fact of life. For example, this year, we’ve had nine properties go vacant – but this was way above normal! No matter, because we own great homes in solid neighborhoods, and we were able to get the homes back on the market and rented to quality residents within a few weeks. Oh sure, I could avoid the “thrill” of vacancies by going back to work at the big box hardware store making a whopping $13 an hour – waiting for the day they either retire me or fire me. On second thought, I’d rather be in control of my fate! Think about this: Let’s say you own twelve free-and-clear single-family rentals. On average, they bring in $10,200 per month ($850 x 12 properties = $10,200). After paying expenses (taxes, insurance, repairs, vacancies and management fees) your net monthly profit is $6,460. If you got this much mailbox money each month, would you still be doing what you’re doing and working where you’re working? Becoming financially free…being able to do what you want, when you want, where you want, why you want…is the reason so many Americans become real estate investors. What about you?